Astridestella.info: WHY DOESN'T MY SPELL WORK? Something I have noticed as I have been doing a bit of research into this area. 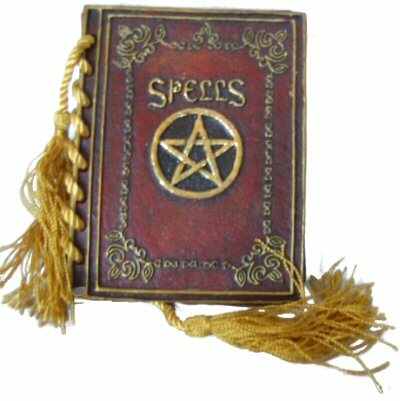 I have come across various people online complaining their spells didn't work or after paying a spell caster to do the spell it hasn't worked. Well to explain why this may be the case let me explain. A spell is in effect a concentrated 'thoughtform'. A thoughtform is a thought, but every thought any of us has, has an energy. All our thoughts go out into the Universe and have an effect. somethings for good, sometimes for bad, but they are akin to ripples thrown into a pond, they spread and effect the pond as a whole. Everything in the Universe is comprised of energy and this energy is controlled by the Universe's Laws. Take the law of attraction, where like attracts like, so positive energy is attracted to positive energy, so the more positively you think, the more positivity is attracted to you. We also chose to incarnate on Earth, we chose our parents and we incarnate in soul groups, each taking a different role, with each incarnation in order that we can experience, a different role, sometimes for the good and sometimes for the bad so that we can experience how it feels from both sides. We incarnate with this lesson in mind, however that memory is wiped from our conscious memory, but remains in our subconscious memory, for the sole reason if we knew what was ahead of us, we would try an avoid it. However our subconscious still retains it and drives us on. To complicate things further, we are given 'free will', it has to be this way, so we can choose to experience and learn and its up to us we do it willingly and not coerced. All of this effects how a spell will turn out. The laws of the Universe govern how it will work, but the most important part of all spells, is the positive belief that THEY WILL WORK, for all a spell is, is a CONCENTRATED AND ENERGISED THOUGHTFORM.